Verderame organizes guided tours on request also in difficult places to access, or at times not open to the public with the aim of contributing to the dissemination of knowledge of cultural heritage. Targeting any type of audience, both Italian and foreign, these visits offer off-the-beaten-track destinations and select unique and sought-after walks and places that are little known or usually closed to the public, sought after and unique. The intent is to enable the visitor to explore and enjoy the artistic and cultural history of the city, rather than dwelling only on the best-known monuments. The art lessons on site and not, exclusive for our members, are always held by important expert guests who tell through video-projections and in-depth analysis of the development of Italian art in relation to particular artistic subjects. 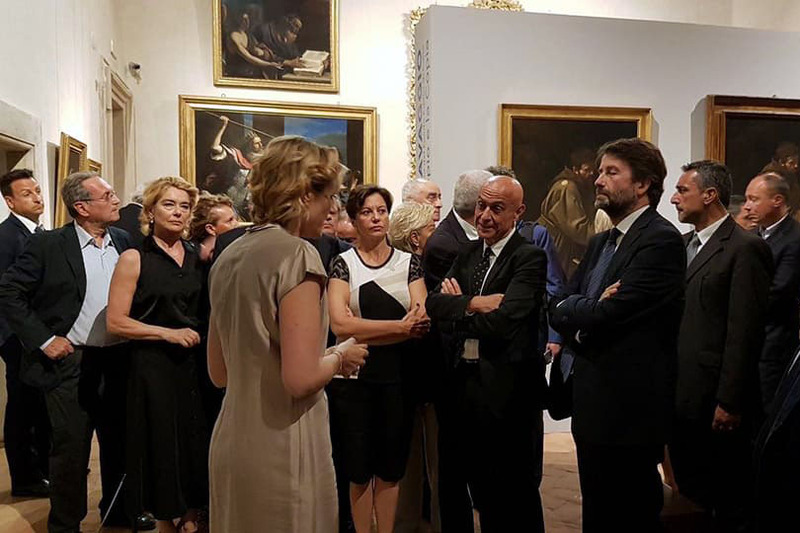 The lessons are an unmissable opportunity for students, art lovers and simply curious to know under different light the works of great artists such as Caravaggio, Tiziano, Botticelli and the historical and social events that accompanied them. The lessons can also be accompanied by visits to places related to the topics subjects of the lessons.